When you absolutely, positively have to go behind enemy lines in one piece, a wingsuit will do the trick. To use, jump out of an aircraft or a tall building. Depending on your altitude (200m or higher), press Y to activate the wingsuit. Use the WSAD keys to control your flight path as you glide toward the ground. Note that pressing and holding down D only slows down your descent; it does not make you move backwards. Once the suit is activated, you have to activate the wingchute within 30 seconds. Do this by pressing Y again to deactivate the wingsuit and activate the wingchute. Use the movement keys to continue controlling your flight path and eventual landing location. If you ever fall to the ground from high altitude without your wingchute, you will take damage and possibly die. Once the suit enters descent mode, use the WSAD keys to control your flight path as you glide toward the ground. 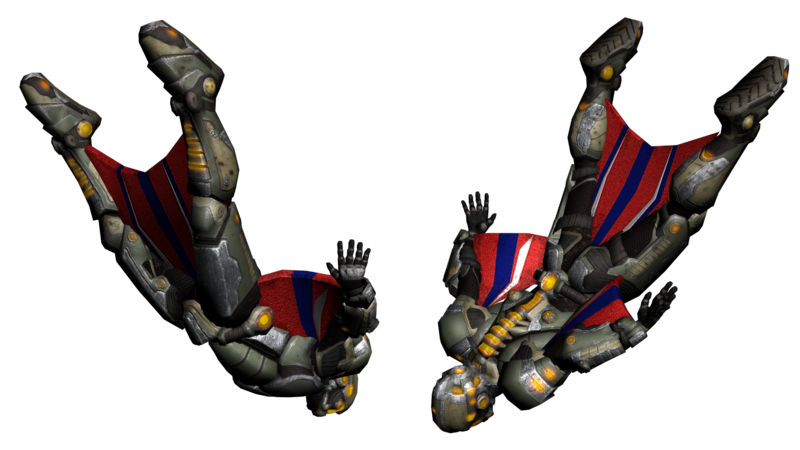 During descent and within 30m from the ground, press H again to activate the suit’s landing mode. If you fail to activate the landing mode at the right time, you will crash head first into the ground. There is no recovery from this catastrophic condition. You will die. Like horribly. Covered casket type stuff. NOTE: This variant is an exclusive Early Access item and is not available for purchase.